Initial type of interest in you. One key point to remember is that once you accept a new role and enter an organisation, your ability to secure higher wages is diminished. You will fall back on the organisation’s performance appraisal and salary review process. My advice is that the best time to secure a more substantial increase is at the negotiating table before you accept a new job. You are in the best negotiating position at this time and it is unlikely a similar negotiating position will arise once you are employed. Let’s look at market value initially. Every job has a band in terms of market rate and you could cut that band into four parts. Your knowledge, experience, industry, location and market labour economics. That is, supply and demand will determine your positioning on the higher and lower end of the band. This is a bit of a handful, but you should be aware that jobs in the city would pay better than country regional positions for similar jobs. Also, that your position on the band may vary between industries as some industries pay better than others because of the market segment they are in an. So there are many factors you must weigh up to determine your position on the band. A quick and easy way to determine your market value is to get a hold of expensive salary surveys and reports. Employer associations, larger employment agencies and private organisations such as Hay Group prepare such salary surveys. The problem with this is that the majority of this information is not free, particularly, if you want it to be up-to-date and specific to your position. These reports are updated regularly and show movements in market rates by classification based on a number of factors. This is the information the professionals have when determining your rate during the interview process. Another cheaper way for you to determine market rates is to look for job advertisements in your profession and establish your own market salary band. I find that sometimes this is even more accurate than the salary surveys and a true reflection of the market place. When investigating your market rate, talk to employment consultants who are privy to this information. Develop an information base dependent upon location, experience, industry, benefits and salary to form your own market rate. 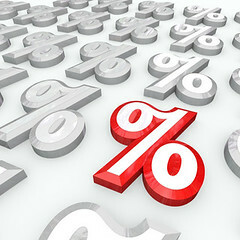 In other words, educate yourself as you would when buying a car or a home to establish market rates. This is important when negotiating salaries because you do not want to sell yourself short. 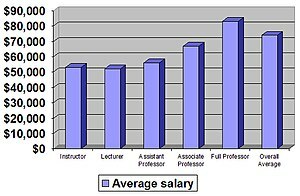 Here you can search for industry average salary information for your profession. The service is called Salary Check and it contains a Salary and Recruitment Survey. The following table is a good example of a salary band for an Accounts Payable Clerk. Notice the band split into four quartiles with accompanying rates of pay for those quartiles. Try to establish which quartile you are located in and then try to move to the next quartile during salary negotiations. It is not unusual for a successful candidate to move up two quartile dependent on industry and other factors. Your ultimate goal is to reach quartile 4 and then look at promotion to a more senior position such as Accounts Payable Manager. This entry was posted in Australian jobs, careers, emplyment, Job hunting tips, job interviews, job search, resumes and tagged australian careers, australian job search, Business, careers, Compensation and Benefits, Employment, Hay Group, how to find a job, How to find a job in 6 weeks, Human resources, Interview, job hunting, job hunting skills, Job interview, job interviews, job search, job search skills, jobsearch, managing your job, Negotiation, Salary, Uncategorized, Wage on January 10, 2013 by Anthony Ranieri. I simply want to mention I am new to blogging and honestly enjoyed your page. Most likely I’m want to bookmark your site . You actually come with wonderful articles. Thanks for sharing with us your website page. I just want to tell you that I’m very new to blogging and actually enjoyed this blog site. Very likely I’m likely to bookmark your site . You definitely have very good articles and reviews. With thanks for sharing your blog. Thanks for your positive feedback and comments. You can follow me on twitter @jobwebaus and get tweets when I write a new post. Sorry, but I am not aware where to hire professional writers. i write my own content and have been writing for many years.